If you’ve recently experienced an unexpected water emergency call our water damage Fort Worth team at 911 Restoration Fort Worth immediately for fast, same-day service from one of our water damage Roanoke technicians. Water damage restoration service is required to restore your property back to pre-loss condition once water penetrates deeply enough into the porous materials of your home that it begins to deteriorate these important structures through destructive processes like rotting, delamination, rusting and warping. Our years of experience in water removal solutions has taught our technicians that responding to water damage quickly prevents additional damage, escalated repair costs, structural failure and even mold growth. Our goal is always to keep damage and destruction to an absolute minimum so that we can get you and your family back into your home as quickly as possible. Our water damage Roanoke specialists do this by providing the fastest and most professional service in the industry backed by nearly four decades of experience eliminating all categories of unwanted water. Category 3 black water is extremely toxic to humans and can cause significant health problems so if you’re experiencing a problem with your toilet plumbing or sewage system call 911 Restoration right away. Our water damage Roanoke team specializes in eliminating water damage before mold growth becomes an issue so don’t wait and call us today! Water damage that is left untreated almost always causes mold after 24-48 hours so if you have a sudden water catastrophe in your home don’t hesitate to call our water damage Roanoke team right away. Mold growth is particularly prominent in areas of the country with hot, humid weather like Texas. In fact, because mold isn’t covered by all insurance plans, the best course of action is to try to avoid mold to begin with. 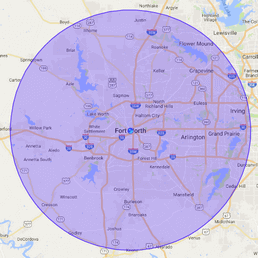 Roanoke, Texas is no exception as temperatures can get extremely high in Denton County making the need for fast, efficient restoration service from our water damage Roanoke team that much more important. Whatever your needs may be we’ll resolve your issue fast so that mold doesn’t grow and your claim doesn’t get denied because we truly care, so don’t wait and call our water damage Roanoke team now! Due to the fact that homeowner’s insurance coverage only covers water damage stemming from indoor incidents of the home, such as a burst pipe, our water damage Roanoke team highly recommends calling 911 Restoration immediately in the event of any emergency so we can address the issue before things escalate. For example, mold growth usually occurs after 24-48 hours and once this happens, many insurance carriers will deny claims or only pay on a portion of the claim due to mold. With this in mind, call our water damage Roanoke team for all of your restoration needs because we are available 24/7/365 to send out a qualified service professional to take care of your specific problem fast before mold spores put a strangle-hold on your home. Even if mold does develop, we also specialize in mold remediation solutions so we can also removal all moisture and mold from your home using the most advanced extraction and drying technology in the industry. We are the best in the business at taking care of both your home and your family so for a fresh start in the Fort Worth area contact our water damage Roanoke team with 911 Restoration Fort Worth today!